More often than not, international film festivals showcase movies made by white filmmakers. Even more, these directors and producers are usually male and somewhat privileged, and thus excluding talents from minority and marginalised groups. At last year’s Toronto International Film Festival, there were efforts to accommodate more female directors which gloriously coincided with the world premiere of Lionheart, the directorial debut from Genevieve Nnaji. And things are still changing. At the 2019 Sundance Film Festival, women completely dominated by scooping awards for their movies. 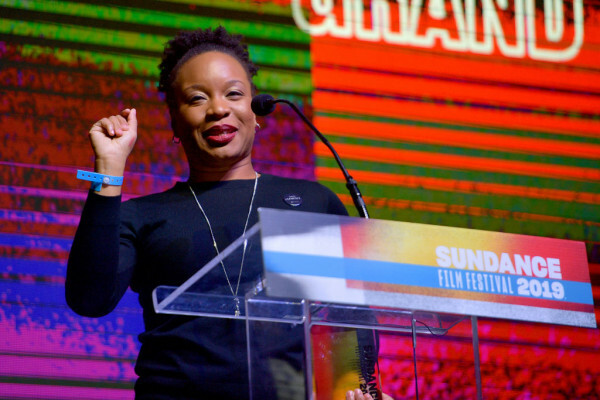 During the Park City competition, the four coveted Grand Jury Prizes went to films that were either directed or co-directed by a female filmmaker. Joanna Hogg (The Souvenir), Nanfu Wang (One Child Nation) and Tamra Kotevska and Ljubomir Stefanov (Honeyland) walked away with prizes for their work. But the biggest and historic win went to Chinonye Chukwu for her movie Clemency. This is a huge deal because the Grand Jury dramatic competition prize is considered to be the biggest prize at Sundance. Clemency stars Alfre Woodard and tells the story about a prison warden on death row duty. If you have’t heard of Chukwu before now, she is a a Nigerian-born, Alaska-raised screenwriter, producer, director and activist. Her first feature film, Alaskaland, a story that follows the estranged relationship between a Nigerian-American brother and sister who reunite in their Alaskan hometown, was completed in 2012 and had a brief, successful film festival run. We do hope to hear more from Chukwu as there’s a rumour that she’s been tapped to work another movie about a Black Panther leader.